This is the Neo Geo Mini Christmas Limited Edition, a special holiday version of SNK’s small-sized console. SNK hasn’t yet announced a release date other than saying it will be out “soon.” Pricing is also forthcoming. Here are the 48 titles that are included, which is more than the originally released version. 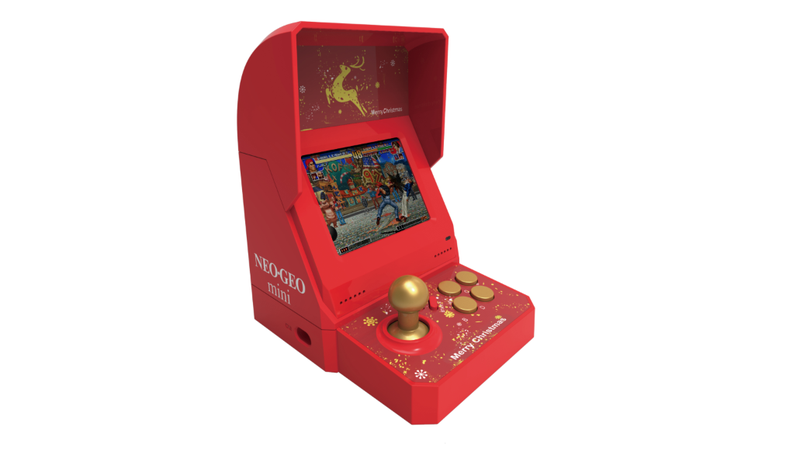 The Neo Geo Mini Christmas Limited Edition also comes with two gamepads, an HDMI cable, stickers and more.